NEW UPDATED EDITION FOR 2017! This insider’s guide reveals the island’s best-kept secrets, so you can feel like a “regular”, even on your first trip, and find activities for the whole family! Plan your holiday before you leave home - and make sure you pack the right stuff! Did you know that Bajans were among the first to produce rum? Or that the grapefruit was bred in one of the island's gullies? Russell Streeter does. He also knows where the most tranquil beaches are, where the turtles swim and nest, and where you can savour the best fried fish. So instead of trawling through the Internet, this insightful and colourful book will help you to navigate the best that Barbados has to offer. 24 fun activities to keep you out of trouble! All this for less than the cost of a good meal! This book doesn't include every beach, rum shop or building that the Queen or George Washington ever stayed in. There are no details of hotels or restaurants - because Trip Advisor is the best place for such information. Instead, it's your personal tour guide to some of the best that Barbados has to offer. There's more to Barbados that the beaches. With this book you can feel like a 'regular' even on your first trip! Make the Most of Your Holiday In Tropical Paradise With This Exciting & Colourful Book! With its sunshine, beautiful white beaches and clear blue water, Barbados is the perfect place for a winter break. But after you've invested so much to travel there, wouldn't it be nice to have your own personal tour guide, to help you make the most of your holiday and find activities for the whole family? Written by a Bajan, the book includes details of 38 beautiful beaches, 40 engaging attractions, as well as 23 fun activities to keep you out of trouble! It also provides a short guide to local cuisine, major annual cultural and sporting events and over 30 full-colour pictures! All this for less than the cost of a good meal! In this information age, it can be challenging sifting through all of the data and finding what’s really useful. 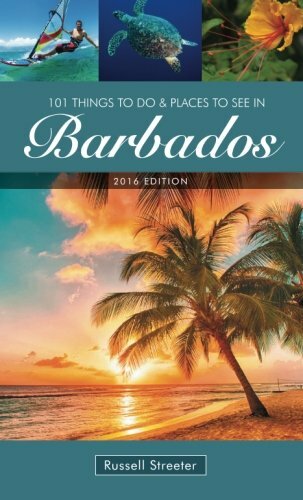 So instead of trawling through Trip Advisor, or one of the many websites devoted to the island, this little book will help you to navigate the best that Barbados has to offer, without the need for an Internet connection! (Although, if you are connected while on holiday, the e-book includes handy links to Google Maps!) Everyone thinks that Barbados is all about blazing sun, pearly white sand and crystal clear water, but there is so much more to the island than its beaches. Barbados has a great story to tell: the hope and ambition of the colonists, the military dominance of the British, the resilience and ingenuity of the transplanted African population and its descendants. Did you know that Bajans were the first to produce rum? Or that the grapefruit was bred in one of our gullies? Our statue of Lord Nelson was erected 27 years before the more famous one in London. Barbados is also an island full of colour. The first colours you will see as you fly down the west coast are the sparkling turquoise and deep blue of the water and the dazzling white brilliance of the sand. After you have landed and are en route to the hotel, the view of the countryside will include the subtle greens and browns of the sugar cane fields. Depending on the time of year, you may enjoy the vibrant reds and oranges of the flamboyant trees, the rainbow of colours that are lilies, or the soft whites of the Snow on the Mountain. (That’s a plant, not an actual mountain!) If you are lucky enough to visit during the annual carnival, you will be treated to an explosion of colour, music and dance. Barbados really is a feast for all of the senses. This book doesn't include every beach, rum shop or building that the Queen or George Washington ever stayed in. Instead, it's your personal tour guide to some of the best that Barbados has to offer. It provides an insight into the history of the Island, so that the attractions and food would make more sense. Our aim is that everyone who visits our beautiful island will have a holiday that they will remember for the rest of their lives.